Whether you have lower back pain, anterior knee pain or an overuse running injury, clinical Pilates can help. This is because Pilates is ideal for facilitating the stabilizing muscles by being a movement pattern that trains muscles to support movement. Clinical Pilates London is taught by trained physiotherapists who specialize in Pilates to help you progress in treatment even faster. The approach of Clinical Pilates is to basically remove and modify the Pilates work, to minimise the potentially harmful effects. 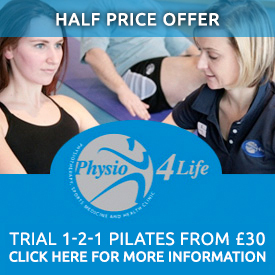 The Clinical Pilates programme incorporates the work of stabilisation training, neural mobilisation, load effects on pathology and injuries, injury provocation as well as spinal and peripheral biomechanics. It provides a logical progression from static stabilisation onto higher level and more functional dynamic stabilisation. Whether you have lower back pain, anterior knee pain or an overuse running injury Clinical Pilates in London can help in their management. This is because Pilates is ideal for facilitating the stability muscles by being a movement pattern that trains muscles to support movement. One area where Clinical Pilates differs from other forms of exercise is the way in which breathing is incorporated into the movements. Conscious and correct inhalation allows the diaphragm to help stabilise the trunk. It inhibits the use of the external oblique muscles and helps maintain the thorax in a tall position. Getting the breathing right is critical for stability. The use of Clinical Pilates to treat not only lower back pain but all other type of injuries is becoming increasingly common among physiotherapists. 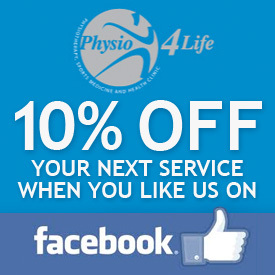 Ask any of the staff at Pilates4Life about how it can help you!